The income disparity for family medicine is taking a toll, according to a new survey. In the Medscape Compensation Report for 2013(www.medscape.com), released earlier this week, physicians were asked if they still would have pursued a medical career if they had to do it all over again. Sixty-seven percent of family physicians surveyed said they would have but only 32 percent said they would have stuck with family medicine. By comparison, 58 percent of all physicians surveyed said they would still have gone into medicine with 47 percent sticking with their current specialty. Other parts of the report reveal hints of what might be causing so many family physicians to wish they had a time machine. For example, family physicians reported an average compensation of $176,000 last year, the second-lowest among the 25 specialties surveyed. Family medicine beat out only HIV/infectious disease physicians, who made an average of $174,000. The most lucrative specialties last year were orthopedics and cardiology, with average compensation of $413,000 and $351,000, respectively. Only half of family physicians said they felt fairly compensated, which placed the specialty in about the middle of the pack. Dermatologists seemed to be the happiest with 65 percent expressing overall career satisfaction. Forty-two percent of family physicians said they spent 40 hours or more each week serving patients while more than two-thirds said they saw 76 patients or more each week. Sixteen percent said they saw 125 patients or more each week. In terms of family medicine practice environments, the researchers found the highest average compensation among those working in hospitals ($191,000), health care organizations ($190,000) and office-based multispecialty group practices ($187,000). The lowest average belonged to office-based solo physicians ($158,000). 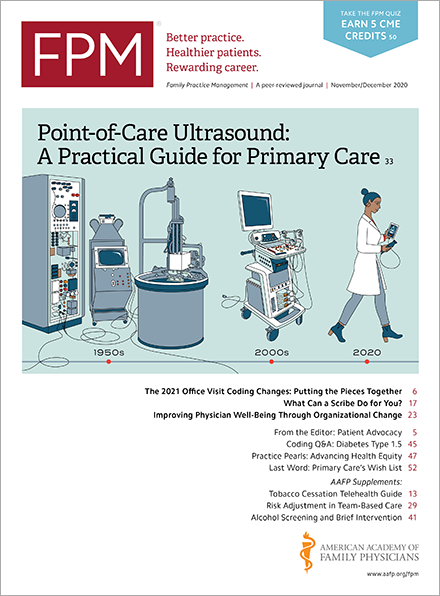 Also, 29 percent of family physicians said they belonged to an accountable care organization (ACO) last year and another 11 percent said they plan to join within a year. By comparison, only 5 percent belonged to an ACO in 2011.